The Annual Golf match between Clongowes and Glenstal was held in Portmarnock GC on 22nd May, for the Perpetual Dan O’Connor / Pat O’Connor Trophy. Glenstal Old Boys won convincingly on a beautiful day on this wonderful golf course. 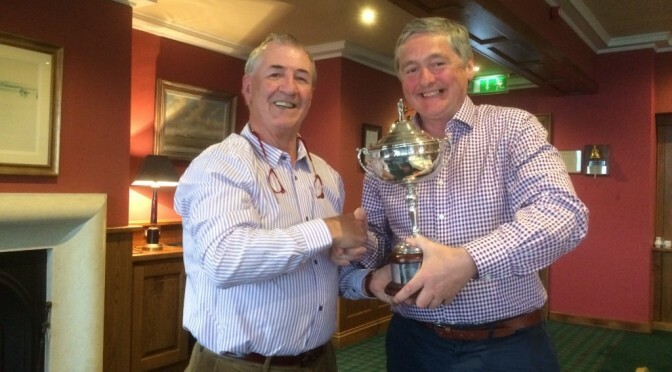 Left: PJ Crerar accepting the trophy from Dan O’Connor, in Portmarnock GC.